Right from the word 'Go' Steven and his team have been amazing and we can't thank them enough. The service offered was exactly what we required. From experience of using big estate agents before I much prefer this smaller based team- Phone calls were always answered, the team were always polite and courteous, if I had to leave a message I always got a phone call back...I even got a phone call at 21.45pm one night as Steven just knew I was worried during a stressful time. They say that moving house is one of the most stressful things you can go through, yes it was for us due to other factors but Steven was the most calming influence we could wish for. He was always honest, upfront, professional, competent and trustworthy and I will be recommending HOW's service to all my family and friends. Thank you for everything HOW...I still can't believe we are in our beautiful new home!! From start to finish Steven went above and beyond and actually delivered all he promised. If I needed a query answering, he always got back to me, many times out of office hours. I thought the service Homes On Web provided was professional, efficient , friendly and excellent value for money and I would have no hesitation in recommending to prospective customers. Steve has been in regular contact during the selling process and always called back when questions arose. it has made the whole much less stressful. we can highly recommend Steve and his company. Once again, the boys did great. This is the second house we have sold with Steven, Mark & their team in twelve months. Very friendly, professional & communicative. It makes selling a house a pleasure rather than the drudgery we have suffered over the years. I won't have any hesitation in choosing who I'll use for my next sale. Other agencies in the industry could learn a lot from Homes on Web. Quality staff & excellent value for money. Who could ask for more? Home on the web were great, I paid a fee upfront which was a fraction of what other agents would have charged but Steve, Mark & the team really worked for the money. It sold within two weeks of being on the market, even once it was sold I got excellent service and advice, no question was too small to be answered, they were more like friends than business associates. I have dealt with other agents before and the service provided by Homes On the Web was far superior, I can't recommend them enough. Home on the web were great, I paid a fee upfront which was a fraction of what other agents would have charged but Steve, Mark & the team really worked for the money. It sold within two weeks of being on the market, even once it was sold I got excellent service and advice, no question was to small to be answered, they were more like friends than business associates. I have dealt with other agents before and the service provided by Homes On the Web was far superior, I can't recommend them enough. I didn't know what to expect from an online company but I have to say it had been very stress free experience and could not of asked anymore from Steven and the team, communication was excellent and timely. The whole process has exceeded my expectations so thank you very much for all your hard work. First class service from Steve, Mark and the team from start to finish. Very competitive fees, much cheaper than traditional estate agents and sold property within 2 weeks despite being right in the middle of brexit. They kept us in the loop at every stage and answered any questions we had very promptly. Will be recommending to friends for sure. I used Homes on the Web when a friend recommended them and I'm certainly glad I did! The service I received was first class from the whole team and the fee was a fraction of the cost of other high street Milton Keynes agents. They followed the whole process, from the house sale right through to completion. I have been very impressed with their level of customer service, I could always speak to one of the team and they all knew how the sale was progressing and kept me constantly informed. Moving is a stressful time and they made the whole selling process better than I have ever experienced in numerous previous moves. They even came and picked the keys up from me on completion day, saving the hassle of having to drop them off. After using Homes on the Web, I will never use another agency again! I have used estate agents in the past and wandered what I had paid for as their service was so poor but the team at Homes on the Web are the exception. Wow, what a team! Very professional with a friendly touch. Responded swiftly to all queries. In fact they were so professional that without their input the sale of my property would not have been completed on the planned date. I strongly recommend this agency. 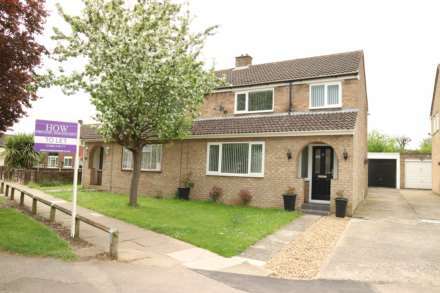 Steven Rogers initiated the sale of our house in Milton Keynes. On his first visit to our house everything he told us made sense. I am 73 and have sold four houses previously through the estate agents on the high street and I can seriously say the help and level of communication from them has been totally surpassed by Homes On Web. Adding to that the options for making payment saved a substantial sum compared with other quotes that we received. I would like to thank Steven for his help and wish him and his company every success for the future. I wish to say a big thank you for the excellent services provided by Homes On Web (HOW). Not only their fees are reasonable, Steve and his team provide very professional advices and their high level of communications far exceeding the high street agents I dealt with in my previous three moves in the past 30 years! I will definitely recommend Homes On Web to anyone who wish to try out an internet estate agent and save hundreds if not thousands in fee!